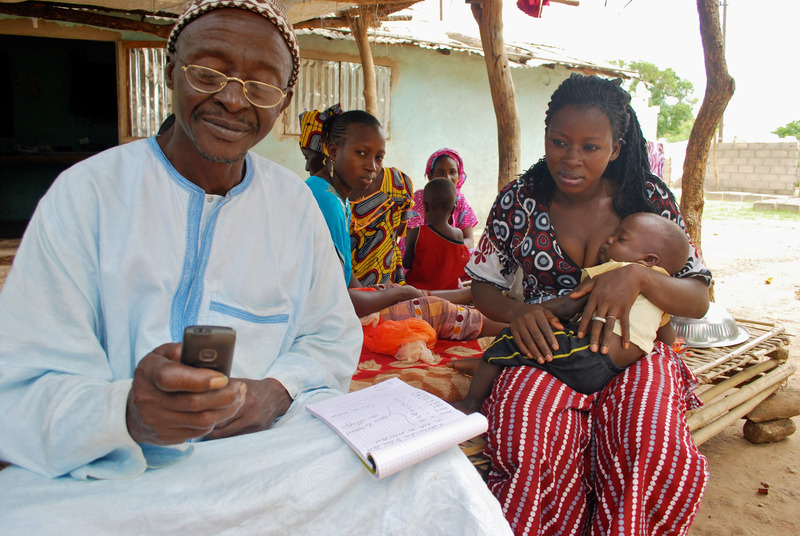 Only a handful of births are registered in the remote Kolda region of southern Senegal, but a new mobile phone application that allows parents to text the details of a newborn to obtain a birth certificate could cut down school drop-outs when the children are older. Senegalese law does not make birth declaration mandatory, yet birth certificates are required for enrolling a child in school and registering to write exams. The remoteness of some villages from civil registration centres, combined with poverty, ignorance, and even negligence, have hampered birth registration. After Swiss NGO Aide et Action introduced the texting system, parents participating in the pilot phase of the programme registered 20 births in three months from September 2011. The highest birth registration before then was in 2003, when only 12 births were declared. “A villager working in the fields often doesn’t have money even to organize for baptism. He names his child and returns to the farm - he doesn’t worry about the future,” said Yaya Kandé, the deputy village chief in charge of birth registration. Village chiefs in Kolda have been provided with mobile phones loaded with the birth registration application. Parents unable to afford the cost of travelling to a registration centre can now give the information about the newborn to the chief, who sends it to a government registrar in a text message. Birth certificates cost 300 CFA francs (about 60 US cents) and sending the text costs just 10 francs. “This method ensures security of information, as it uses a coding system. The data is centralized and stored in a server, and the authorities can easily follow it up,” said Aide et Action spokeswoman Agnès Pfister. The high cost of registering a birth was the most powerful deterrent to parents who did not do so in 20 countries studied, says the UN Children's Fund (UNICEF). Sub-Saharan Africa has the highest number of unregistered children, estimated to be 66 million. “There has been a change. Many births are now being registered. In past two months [May and June 2012], 80 percent of the births have been declared,” said Aliou Camara, another civil registration official. “I declared the birth of my baby by phone because it is very simple,” said Sene Sally, a mother of four in Kolda. The region is Senegal’s poorest and up to 60 percent of Kolda’s inhabitants are illiterate. They depend mainly on rice, millet and groundnut cultivation for survival. Village chiefs are usually provided with a register to record births and later transmit the details to government registrars, but the ledgers are rarely replaced when they are full, and parents then have to pay about $12 to declare the birth of a child at the magistrate’s court when he or she is one year old. “Logically, the parents don’t see the need to come back and register the births of other children,” said Mohammed Salla, the deputy head of the UNICEF in Senegal. School teacher Ousmane Coly said few of the pupils in his school’s nursery and pre-school class have birth certificates. “It’s a difficult task for us. They come without certificates when they start nursery school, which means they can’t sit sixth grade exams. We negotiate with the inspectors while the parents try to obtain the papers,” said Coly. Technical experts are studying the programme while the authorities are working to make the texting system a legally recognized method of birth registration, Pfister told IRIN. A second phase of the project is underway and will target 500 villages in Kolda and Diourbel in southern and central Senegal.